A 61 yrs old male had become separated from his walking partner en route from Ennerdale to Windy Gap (Great Gable). The missing person was carrying two 25 lb rucksacks and had a medical history. 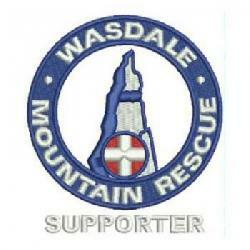 Keswick MRT and Cockermouth MRT were put on standby whilst further checks were made prior to a Wasdale full call-out. The missing walker turned up safe and well at 1820 hrs. Incident started at 14:10 and ended at 18:20 making 4.2 hrs in total.